With Vikas Krishan making the cut for Olympics in the 75kg category, the door is shut on the much celebrated Vijender Singh, who was eyeing qualification to Rio ever since the International Boxing Association (AIBA) allowed professional boxers to compete in the quadrennial showpiece. Vikas entered the semifinals of the AIBA World Qualifying Tournament in Baku, Azerbaijan to book a Rio berth after out-punching Korea's Lee Dongyun in the quarterfinals 3-0 on Thursday. Though disappointed that he would not be able to take a shot at Olympic qualification now, Vijender said he was happy for those who have made the cut. "I wish Vikas all the best and I hope he gets a gold medal in Rio. My best wishes are also with Shiva Thapa (56kg) and Manoj Kumar (64kg) who have also qualified for the Games," Vijender told PTI from Manchester. "I would have loved to have a shot at Olympic qualification but as things stand now, I will continue fighting in the pro arena. I am very happy for the boys who have qualified as they have done it against all odds," added India's first Olympic medallist, who fetched a bronze in the 2008 edition of the Games. Vijender, who also happens to be the country's first World Championships medallist, had expressed a desire to give Olympic qualification a shot when AIBA flung the doors open for pro boxers after an extraordinary congress earlier this month. 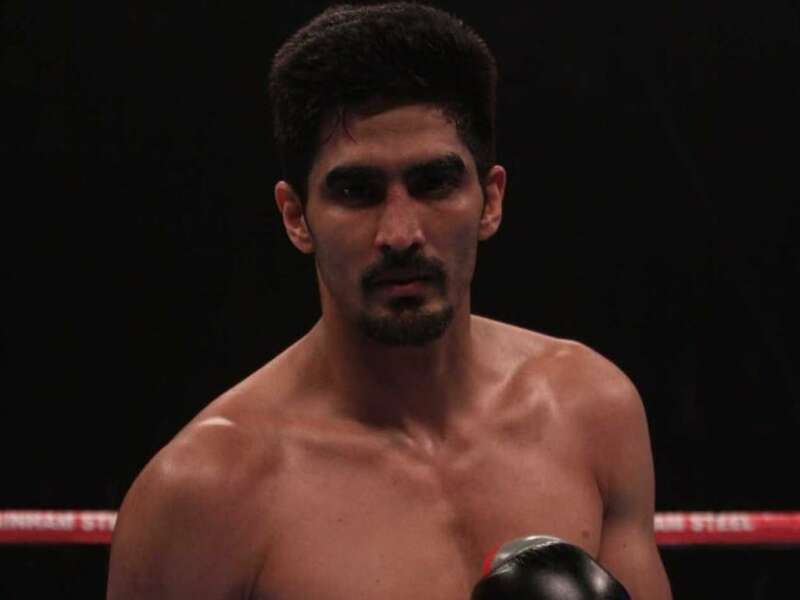 Vijender will next be seen in action on July 16 when he competes for the WBO Asia title belt against Australian Kerry Hope in the national capital.